Hopefully this officially means no VRaging Bull. Looks like a new story called Rage of the Gargoyles. I assume we take control of a fighter jet as Captain Bucky McMacho. Oh please not let it be on Raging Bull. I do not want two VR coasters please have it on Demon only, please! jmanporty7 wrote: Oh please not let it be on Raging Bull. I do not want two VR coasters please have it on Demon only, please! I'm hoping common sense kicked in, G-Am really hasn't said anything about the VRaging since the initial announcement while Demon has a launch date. On top of that I imagine the Demon's VR story is a lot cheaper since it looks like it's just the alien invasion but with the alien models swapped out for gargoyles. As much as I think VR is a lame gimmick, and I imagine some of you do as well, I'm at least glad they're looking to add it to Demon instead of Bull. I'll bet the GP will get a kick out of it and bring some life back to the ride. Is this the 2017 announcement? I hope not. Johnska wrote: Is this the 2017 announcement? I hope not. 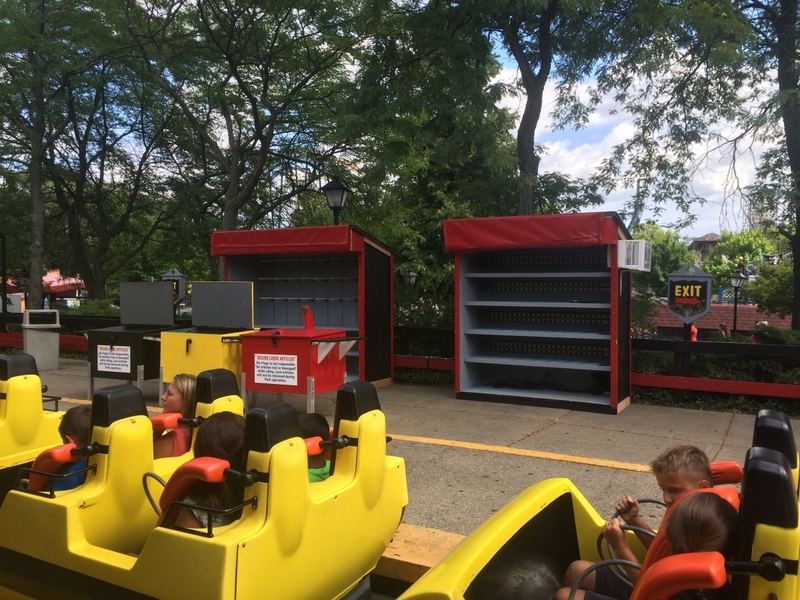 Did any other Six Flags park have VR be their "new ride" for the year? (Answer is no). So I wouldn't worry about that happening to us. I was iffy about VR on RB, but honestly I'm kinda excited for VR on Demon. Superman VR didn't meet my expectations, but this VR seems better and I think VR is meant for a ride (or better suited) that goes upside down. Last edited by staticshadows on July 8th, 2017, 1:00 pm, edited 1 time in total. I wouldn't be surprised if the headsets of people sitting on the right side of the train snapped in half during the transition into the first corkscrew. Spoken like someone who knows what's up. Just to let everyone know, this is VR will also be going to Skull Mountain at SFGAdv, Kong at SFDK, Shockwave at SFOT, Ninja at SFStL, Steamin' Demon at SFGE, Dare Devil Dive at SFOG, and Goliath at La Ronde. It also states that this will be the first 'Fully-integrated Gaming Roller Coaster experience'. So I assume that you will be able to interact with the environment all throughout the coaster, which already makes this better than the other ones. I'm still not completely excited, but I'm going to be optimistic. I guess that means the person who said they were clearing out Demon's station for VR Equipment was right then. I was wondering when my photo would make it's way over here lol! Thanks for giving credit. Hopefully I'll be able to post some more photos in the upcoming weeks and become more active over here. As for VR Demon, I'm excited to try it just because it'll be different and I haven't been back to St Louis since April so it would be my first VR experience. I know I'm in the minority, but I think it would have been cool to experience VR on bull, but I can only imagine what lines would jump to. Checked the Twitter. This might be better than Shockwave's. Still will probably be a disaster and a lot of people are gonna wind up with headaches from the sets smashing into the restraint. So they retweeted someone that claimed there were short lines on the 6th? With perfect weather? Oops, guess I coulda gone. Maybe I'll go back this weekend. Wonder when they changed their minds. I doubt they had a ghoul theme in mind for Raging Trimbrake. I noticed some additional information on the Six Flags website. If you buy a Rage of the Gargoyles T-shirt, you can ride the Demon VR tomorrow from 3 - 5. Only people that buy a t-shirt get to ride. If you have a season pass, or own a Samsung phone, you can ride Demon VR all day on Friday. As we already know, everyone can ride it starting 8/13. Diane Pathieu just rode it and ABC 7 Chicago did a split screen where we saw her on the top and the VR on the bottom. It looks so stupid. What an unbelieveably bad waste of time effort and resources I will be opting out of this crap when I visit for Fright Fest no thank you.